Now that I have my collection out of storage, I'm going to start documenting lots of things before its sold off. Was hoping there was a way to tell whether or not a sealed copy came with the fruit roll up. I guess not. What supergamboy says makes sense. If that is the case it's very likely that a sealed Dr. Robotnik's Mean Bean Machine is a real gamble if I'm looking for one with the fruit roll up inside. I'm sure that game got a reprint. Looks like I have the more common print. I'm fine with that though, it's complete and in good condition. Good info though. Thanks! For the fruit roll-ups, I'd recommend buying every game with a fruit roll-up that comes up for sale until you have 7, then move them among your games as need be. I have a full set of the 7 games, as well as duplicates of a couple of them. 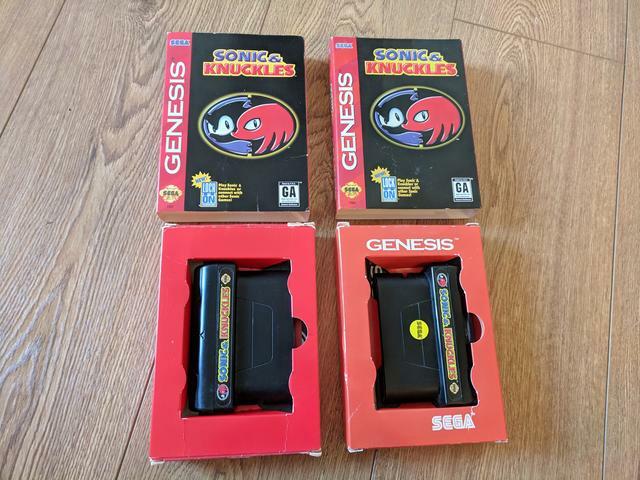 They'll be going up for sale at some point (not now), though when I do it, those will surely be eBay auctions as there are so few sale examples to inform pricing. I thought that it was a fluke until I found a copy of my own. Also 65 for a poster....really?! 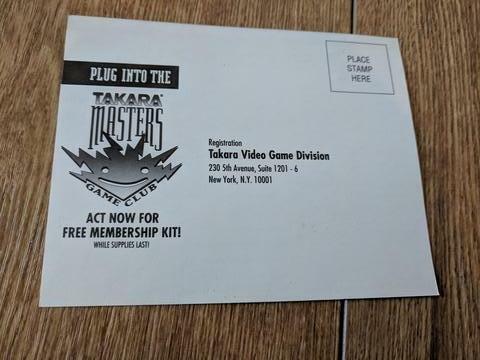 Is the Target thing a sticker on the art insert? Above the plastic? Or under the plastic? On the case isn't too clear... Can you take some close up pictures of your copy? I had that NBA Jam poster as a kid. 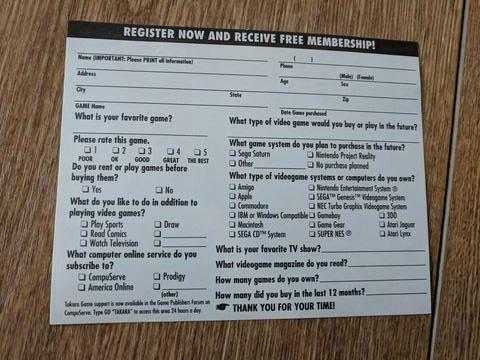 I never had the game, but we did shop at Target quite often. Maybe it was a giveaway at the counter? They have otherwise identical manuals/carts, but both were open/used eBay finds, so take that with a grain of salt. 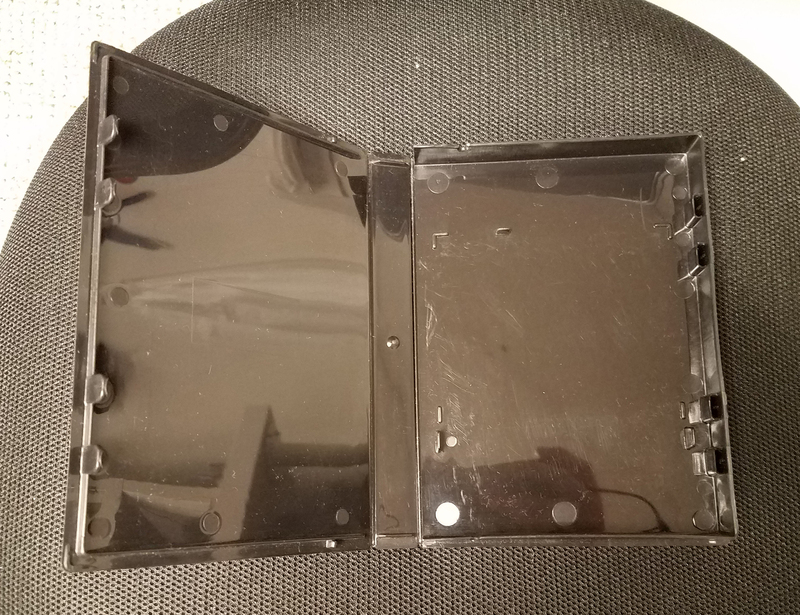 I had thought maybe this was a weird modern replacement box (or maybe a store rental box), but in your matrix you have a "slim EA case" variant listed for both (as well as for other games); is this what the slim case is supposed to look like? It just seemed odd that EA would release a case that has the game and inserts just loosely stuffed in. That is the original case for early EA games. I purchased my Shadow of the Beast sealed in it came in that style of case. My copies of "The Immortal" (I've had 2) are also in that case style. I'm pretty sure those cases are what the sheet is referring to when it says "slim EA case". Looking at the sheet though I see it has them both in regular EA cases. I've seen numerous listings of both of these games with the that style of case though. 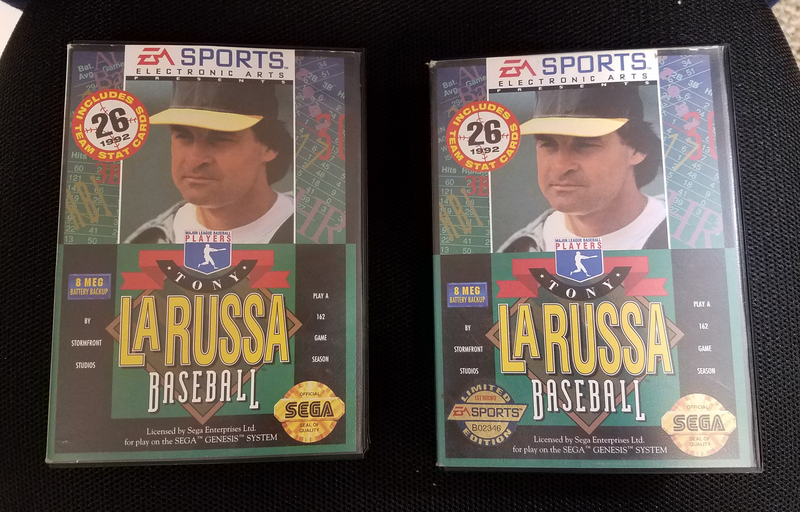 Maybe later prints of the game used the "fat" EA case? Thanks for the catches, billybob. Good to get more of those "1st Round Limited Edition" games filled in. It was an area I never really bothered to track. 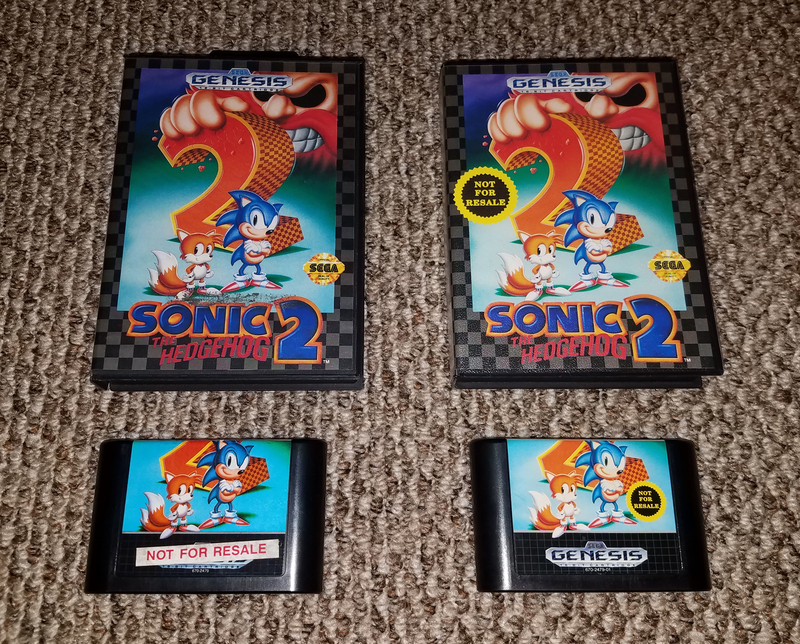 I've converted the listings for Sonic the Hedgehog 2 into the new format and I have added the second type of NFR. 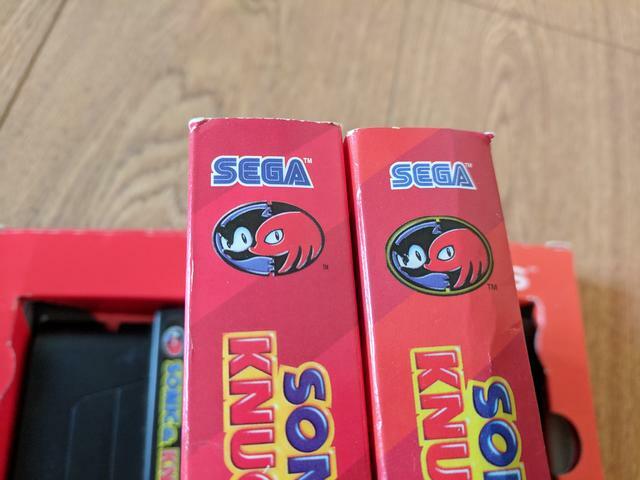 Would you be willing to share some pictures of the white sticker/red text NFR for Sonic the Hedgehog 2? And yes, that is the the style of case to which "slim EA case" refers. I am fairly certain that the games also got later printings in regular cases. But it could be something I just assumed had to be the case. I used to be under the impression that there were multiple releases of Tecmo Bowl III, but now I believe it just has the one style of release. So I'm glad to update the EA case stuff as we turn up better information. Thank you both for helping improve the list! The white/red sticker has come off of the case, but the glue residue is still there as proof (here's another one on eBay https://www.ebay.com/itm/32283077...). 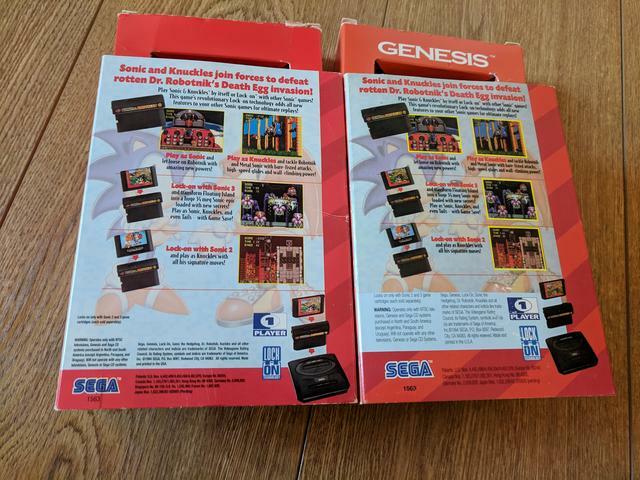 I'm curious as to why the sticker version exists though; Sonic 1 already had NFR versions, so the problem of stores opening console bundles to sell them individually wouldn't have been a new issue... maybe they just had a lot of unsold copies and reused them for pack-ins to save costs? Was there maybe some sort of cardboard insert to hold the cart in place?